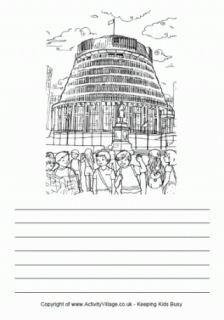 These printable New Zealand postcards make a fun writing activity for the classroom - or for a family holiday! Just print onto paper, cut out, and colour the picture. Then fold in half and glue the sides together, writing on the back. Ready to pop into the post box!